A report from traffic information firm INRIX suggests the average British motorist spends 30 hours a year stuck in traffic, and found London to be the second most congested city in Europe. 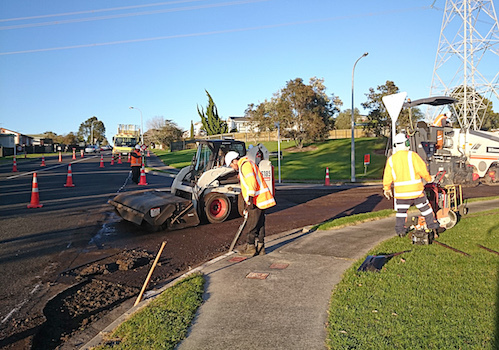 As part of its effort to tackle the traffic problem, the government is considering a proposal to expand the current regime for roadworks sanctions – which already penalises councils for works that overrun. The new scheme could see local authorities fined up to £5,000 a day if they leave roadworks in place over weekends when no work is going on, or leave temporary traffic lights behind after work is completed. The purpose of the proposal is to get projects finished sooner, or removed until work on them can continue. Speaking of the proposed fines, Transport Secretary Patrick McLoughlin stated: "Roadworks can be essential but that doesn't mean they should be in place any longer than is absolutely necessary. . .These common sense measures will be a welcome relief to those trying to get from A to B on our local roads." Also welcoming the proposal is Steve Gooding, Director of the RAC Foundation, who said that: "Anything that can be done to keep the tailbacks to a minimum will be welcomed by Britain's 37 million motorists." But how effective would the roadworks fines be? The Local Government Association (LGA) pointed out that there’s often a valid reason why works are left unmanned, such as to allow concrete to set. Consequently, the proposal could require councils to pay for labour to "watch concrete dry", as this would be cheaper than incurring a fine. The Environment Spokesman for the LGA, Councillor Peter Box, suggested lane rental schemes as an alternative measure to help councils reduce congestion. If the new fines come into effect, councils are likely to face additional pressure on already limited resources. Ethical Enforcement Agents such as Dukes Bailiffs can assist through the use of timely and transparent debt collection, to maximise income and build cash reserves. If you work for a local authority, speak to one of our Contact Centre Managers today to find out how we can help. Older PostHow will the government’s housing bill affect English councils?